THAT I KNOW HOW TO USE IT...THERE NEEDS TO ME MAJOR IMPROVEMENTS MADE FOR THE BUYING SIDE OF THINGS. IM NOT SURE THERE IS ANYTHING STAND OUT ABOUT THE SYSTEM TO ME. IT MAY BE FINE IF YOU HAVE A VERY SMALL NUMBER OF STORES. IF YOU DO ANY TIME OF CLOTHING OR ACCESSORIES WITH COLOR AND SIZE REPORTING IS NOT VERY EASY. WE HAVE HAD REQUESTS IN TO CHANGE AND CUSTOMIZE REPORTS FOR US FOR YEARS. NOTHING RESOLVED. JUST BEAT AROUND THE BUSH. "User-friendly despite its older, somewhat intimidating look." My favorite parts of counterpoint are the simplicity of the checkout process and the streamlined transfer process. Sometimes it just seems like there are far too many buttons, but they all serve a purpose and it just takes a little bit to figure out what those purposes are. It is really user-friendly in terms of mistakes during the transfer process, for one. Before a transfer has been entered in at another location, if a mistake has been made all you have to do is type the transfer number in again and make the change. Very simple. We have used Counterpont for 19 years. The POS portion is easy for our staff to use and I love the reporting functions. I can easily analyze sales by category, item or vendor as well as drill down even further. I can see inventory on hand at the various shops we have and find the purchase ordering system very easy to use. I would like to customize more of the columns easier and can’t always quickly find help to my questions without paying for a service call. The inventory, ordering and POS station are all utilized daily. "It's good for large inventory. Sometimes a bit clunky." Try it out and see if it's for you and your company. It helps track inventory, write quotes, process orders, and create invoices. "Powerful Computing & Very Customizeable"
The ability to customize reports and export them to other formats in order to get the data needed in the best format possible. It takes a long time to learn all the capabilities and develop ways to best utilize the data. We also don't currently have the ability to look at past inventory states. For instance, I can't look at my inventory levels from 2 months ago when trying to analyze the performance of products during certain time periods. I can only look at the sales data from the past. The price is very competitive compared to other sales software and it is much more powerful than other I have used. I mostly use CP to analyze current inventory needs and forecast future needs for our retail stores. The benefit of using CP is the ability to generate highly-customized reports that combine or separate products based on everything from the product name to the description and even the color. "Counterpoint is a great POS system for any business!" The ability for this platform to fit any team's needs is crazy! You can set up rewards, set up so many products and branches of products, and maintain all of your account all in one system! It is not cheap at all. This system is very expensive to upgrade, and keep up with the latest tech. The styling of the system is also really old looking. Solving the POS for my stores with this. Benefits of a tested system that can handle a large load of users, and customers at a time. it covers many aspects of a business with a retail front. It is completely customizable as far as data goes. This system is nice. It can be a little tricky to use especially if a company wants to customize it for their business. The system is unhappy with a lot. Our business has a lot of moving parts and for an all in one POS system running on a SQL server, this one is a little slow. Our company see performance issues due to customizations. Which I get but why offer them if it is unable to support? Would recommend if they have the right business partner. We can run reports on all of our products. 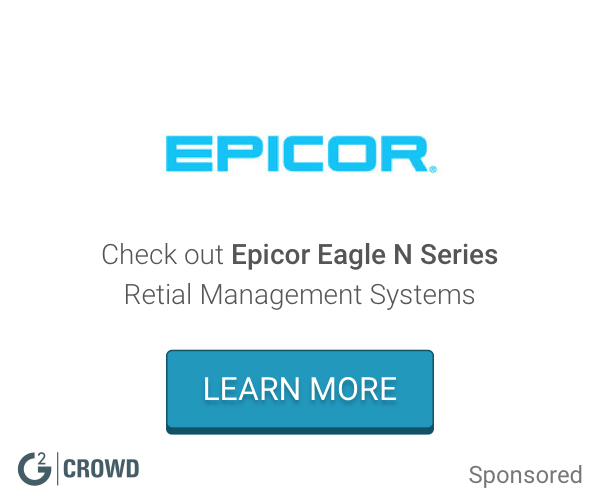 "Easy to manage sales and inventory, with a good yet limited user interface." Cash quick pay buttons are convenient and accurate. Viewing recent sales of particular items very handy. Receipt recall and sales summaries quite well organised (+ searchable). Would like it to be easier to change settings on when to print dual receipts. Constant drawer open sensor issues (popup warnings despite drawer being closed). Returns way easier. Hold on transactions useful for holiday season and ringing items up secretly at a shoppers request to hide it from their kids. I like that it's easy to update information and that I can print out any report on products/inventory. That the system lets you know if the drawer has already been opened for the day so there is no danger of having 2 open drawers. That it can sometimes be counterintuitive to use. Sometimes have to think outside the box to find what I am looking for if I need specific information for accounting. CounterPoint likes things in a certain order and cannot go outside that order. Gross profits margin is easy to find and can tweak any product/item that needs to be updated to meet a satisfactory GP goals. Simple to use and laid out nicely. No major glitches within the system normally other than internet connection time outs occasionally. Occasional freezes within the system. The overall look and layout could be updated a little bit more for style but other than that no major upsets. As a product manager, I run a lot of reports - merchandise analysis, inventory analysis, Sales History, etc. It is nice to be able to see how our stores did on a previous day. I also really like that I can see historical data on customers, staff, etc. When using CounterPoint on very busy days in our retail stores, we often experience it crashing, thus losing a great aspect of customer service. Another area that could improve is the software/device for our iPhone scanners. We'd like to be able to do inventories of product very easily, however CounterPoint seems to have issues with software updates here, thus slowing down our progress. One wish is to see what stores are selling before the days totals are posted! Lastly, I think that CounterPoint could improve on price rules and other areas that are a little grey to our department. I think CounterPoint has come a long way since I've been using it and would recommend it to other retailers for an easy to use POS system. We're working a lot with decreasing our cost-on-hand, and we are able to run reports to see where we are at on any given day. This benefit helps my department in strategizing for future buys. I also find some of the shortcuts when doing our data entry to be helpful and time-saving. I appreciate the many functions and ways to access information where I can input Inventory and have that saved for when I do invoices and it is able to give me how short I am and how short I should be. I just like the slowness of the system and sometimes how I have to wait several minutes only for the program not to respond. Easy to use interface helps toggle through different selections. Sometimes it takes a while for reports to run. Analyzing sales and inventory. Able to stay on top of sales, replenish inventory, and transfer items to stores that need it. "Robust Point of Sale Software"
There is plenty of flexibility to handle many different retail situations including loyalty programs, gift cards, and customer layaways. The price is higher than it needs to be and it has become out-of-date. We are checking out our customers and keeping track of sales by customer. It’s a great POS software used in the workplace. There’s not a factor really that I would dislike about this software. The company I work for has been using the software for sometime now and is easy to use when utilized. The problems are now being benefited by the software system updates which is it making the check out experience quicker. "Great software. Room to improve "
Easy to understand. Very simple and easy to use. From putting a sales order together to processing the payment everything is easy and smooth. Slow at the time of totaling the order cost. Glitches are common and your account would be logged out every time you exit the app. Great business solution. An absolute user-friendly software. Glitches are common when using it on a IOS product. Sales. Creating orders for customers and sending it out to our cashiers for check out. Convenient for customer and employees. "Good system for small business"
The reports aren't very simple and most times you have to run 2 or 3 reports to get your answers. Might be good for smaller business, but is challenging with a growing business. it is good for smaller business, but not so much with a growing business. Problem solving regarding retail buying and number comparison. Ease of entering in weekly schedules. It's quick and simple. No frills, poor reporting, glitches. There's no easy back and forth between schedules and hours worked. Very simplistic; if you just want something to keep time and inventory, this is it. If you need customization and detailed reporting, look elsewhere. Clock in/clock out and scheduling. Like the flexibility on customizing the system for different users so that they have a efficient system. Able to provide better inventory management tools, like to use of the touchscreen and use some custom features to allow easy and better user experience. "Extra steps for simple tasks"
Point of sale offers quick check out process. It is fairly easy to train someone on the process as I feel the process generally prompts you to what you need to do next. Everything seems to be possible but there is always way too many steps to make a simple report. The software should have better reports already loaded in. Need to come out with a huge update and really modernize the software and it's capabilities. We like the availability of offline as we often incur internet problems. This way to we don't have to manually adjust any inventory or other numbers. The back end reporting capabilities. Being able to export to excel easily is nice. weigh the benefits of reporting with the ease of use and attractiveness of the program. Which is more important to you? Mobile use. Has not been realized. What I like most about NCR is the easy to use and functionalities of the various products used. 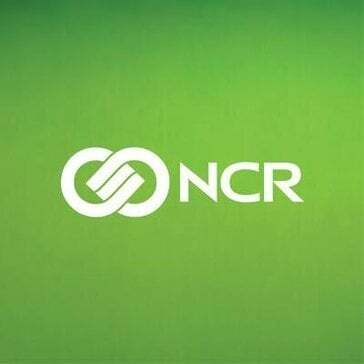 When I see the name NCR it is reliable and compatible. There is nothing I dislike about the products working in retail it is very easy to use. There has not been any problems I have experienced with NCR, old and new. "integrated features, semi-steep learning curve"
There is a steep learning curve, particularly for managers. It can be a rough transition. Make sure you are fully ready to go live before trying! We use NCR counterpoint to manage all of our retail sales. It has improved our checkout times. Easy to use and extremely intuitive. Help and remote consult is challenging. Remote help was close to impossible but overall it was easy to get used to. Not enough shortcuts. * We monitor all NCR Counterpoint reviews to prevent fraudulent reviews and keep review quality high. We do not post reviews by company employees or direct competitors. Validated reviews require the user to submit a screenshot of the product containing their user ID, in order to verify a user is an actual user of the product. Hi there! Are you looking to implement a solution like NCR Counterpoint?